These were the words of the Prime Minister in a speech on ‘improving life chances’ on 11 January this year. Today, The Minister for the Cabinet Office & Paymaster General Matt Hancock MP has made an announcement on increasing social mobility in the Civil Service and beyond. In his announcement, the minister urges all civil servants to undertake at least one hour per year on volunteering in schools. This will showcase the variety of career options that are available to young people if they pursued a career in the Civil Service and encourage them to aim high and achieve their full potential. Civil servants already do a lot of volunteering in schools, many are school governors. Some departments have partnership with organisations like Inspiring the Future, which focuses on sending professionals into schools, to showcase their work to pupils and tell their stories on how they have got to where they are. There are other initiatives, for example through Civil Service Local, where civil servants working in court offices, Jobcentres, tax offices and even prisons, volunteer their time to go into schools to inspire future generations to aim high and reach their full potential. 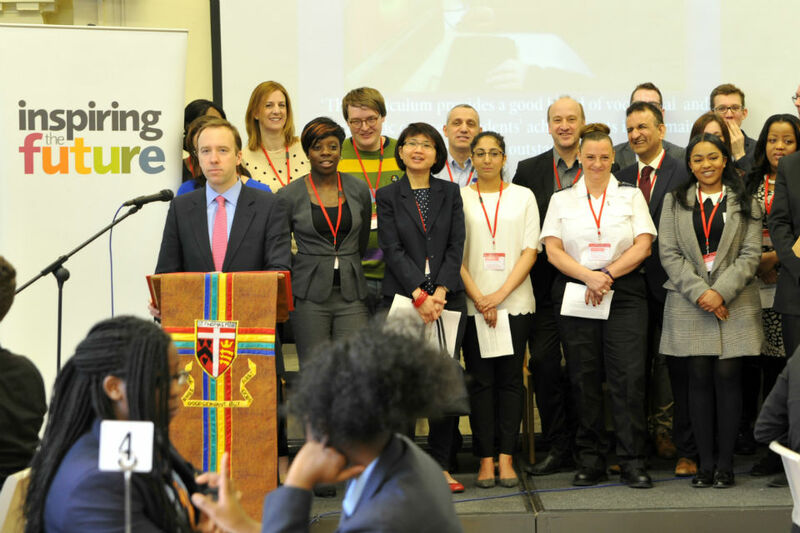 There is also a pilot scheme in 20 schools in deprived areas around the country where a senior civil servant, another from the graduate Fast Stream and one from the Fast Track Apprenticeship programme provide mentoring for 14-16 year olds. In February, the Minister for the Cabinet Office announced that Civil Service schools mentoring should be extended to 200 schools during the course of this Parliament. This complements the schools mentoring initiative announced by the Prime Minister in his speech on life chances. That initiative will be led by the Careers and Enterprise Company. It will arrange for 25,000 trained mentors to go into schools in deprived areas, mentoring young people and providing them with inspiration and motivation at a critical time in their lives. So, look out for more information on how you can get involved in mentoring in schools through the Civil Service’s own programme, developed by colleagues in Civil Service Resourcing, and the drive, through the Careers and Enterprise Company, to attract over 25,000 mentors from a wide range of professions and employers. However, if all civil servants committed as little as one hour per year of their time to go into schools and talk about their careers, it could make all the difference. Not only would it help us inspire more talented young people to see the Civil Service as an attractive career option, it would also provide that extra spark of encouragement that a young person may need to see a place for themselves in the world of work and an incentive to reach their full potential. If you want to do something, getting involved is simple. Nationally, over 27,000 people have signed up with Inspiring the Future to commit an hour of their time to visit a school near where they live or work to talk to young people. They have done so using a free and secure online matchmaking portal: Inspiring the Future, and its Inspiring Women and Primary Futures campaigns. Over 1,500 Civil Servants already volunteer with Inspiring the Future – it takes just a few minutes to sign up, and then teachers can invite you to visit. If you want to see how it all works, here is a short video. You decide what you want to do – you can chat informally to small groups of kids, answering questions about your career; give feedback on CVs or tips on interview techniques; or just explain how the subjects you studied are relevant to the job you do. No formal training is needed. When you are talking to students, just put yourself in their shoes. Think back to when you were their age and talk about how you chose your career path and the barriers you have had to overcome along the way in reaching your goals. For an idea of how one often-used format (Speed Networking) can work, have a look at this video of a careers networking event at the Ministry of Defence. The link to the video of a "speed networking" format careers event in the MOD referred to in the text is a link to a flikr video resource and this is blocked by the Mcaffee's url blocker. How about a better idea. Arrange for a National Go To Work Day in schools up and down the country. Something on a par with what the BBC recently did in allowing children to be a presenter for the day and go behind the scenes in BBC newsrooms and studios around the UK. That would be far more eye opening and and ideal learning opportunity than have someone go to them in a familiar environment talking about themselves. Children needs "hands on" experience. I wont ever forget my visit to the local Police, Fire Station and magistrates court. Especially when one member of staff demonstrated the old blow into a bag beathalyser test and found to be over the limit. A van was arranged to take us all back to our school and the teacher in question let off with a stiff caution. It would have been a far different outcome today of course, but life back then was less draconian and more carefree! But i got alot out of the visits which i remember from over thirty years ago!! I volunteer for inspiring the future and recently attended a speed networking event at my local college. It was a worthwhile experience and even if you can inspire 1 person that makes all the difference. Alot of the students didn't appreciate the opportunities that the civil service could offer and were suprosed to her the variety of roles on offer. I met a young teenager who couldn't afford to attend university so was looking for apprenticeships. His tutor said he was a very bright student. I signposted him to the border force opportunities and offered to look over his examples. I think far too many students these days look to university as the answer and don't realise that there are other routes available into a very succesful career. They just need some guidance. Sorry, but I'm at the age where, given the cuts to pay & increased NI due to kick-in, I'm not volunteering for anything. 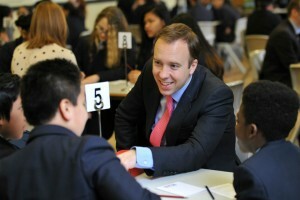 If I'm goig to visit a school to encourage the future Civil Servants, then I would want paying for giving up my time. BT Security access blocked your short video on how it works. "Inspired to sign up" umm. I cannot sign up as when confirm password it gives an indication of X. Therefore cannot go any further. Can you help?? Another example of everyone being asked to do more in unpaid volunteering to cover for a lack of paid jobs. Shouldn't this be covered by a paid professional Careers Service, I am sure there are plenty of people in their twighlight years who would be willing to do a few hours paid, or we could encourage a standard 4 day week, to increase opportunities accross the board and give people more time to do other (paid work) like part time paid careers adviser. I guess it is marginally better than the digital future option where they will be told to download the linked-in app and expected to get on with it. And will our leaders be ‘leading by example’ I wonder? Boy was I wrong! So now, I could only tell them the truth about what the government is actually doing to the civil service; it most definitely is not a career they should consider because of this. In fact, instead of joining this ‘new’ civil service, they would be better off today (health wise,financially) getting married, having six kids, claiming £30,000 or more a year benefit, get everything for free and do absolutely nothing for the rest of their lives. They would have no stress, no barriers, no bills and nothing to care about, so nothing to overcome! I know people are frustrated and dare I say hurt by the changes being forced on the Civil Service. I know myself that financially I'm in a lot tougher place than I used to be. However leaving that aside civil servants who volunteer in whatever capacity bring an awful lot of skills with them that voluntary organisations really appreciate. We know how to participate effectively in meetings, how to write policies and procedures, communicate at lots of different levels, understand the need for rules and regs to operate safely. Outside of work I ran a youth project for several years, I do kids workshops and volunteer as a street angel keeping mainly young people safe in the night time economy. In all these roles I've been asked to take leadership or trustee roles, mainly because experience in the civil service has given me the confidence and ability to deliver with limited resourcing. The best thing about volunteering is the reward you get from young people who are just amazed that you will do something for nothing, simply to make their lives better and safer. It is ridiculous to refer us to look at a website to inspire people to volunteer and is supported by our own department to then find that when we try to research it, it is blocked by our own department?? Probably won't be volunteering as can't find out. Sorry but this isn't a career I'd recommend. Hi All North West Civil Servants. Nomination forms can be found on our site. Closing date for nominations is 01/07/2016. I signed up, had communication with the school i was going to attend, was given dates of when i would be required to interview young children and then my boss decided they hadnt been given enough time to release me so i couldnt go...what a waste of time! What is the point of registering to volunteer if my job role cannot be covered.